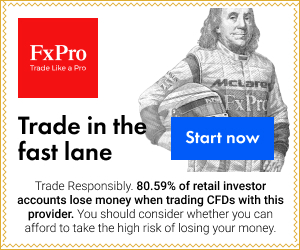 HotForex is a European broker, and one of the most famous and recognized Forex brokers that offer trading with binary options, commodities, currency pairs and indices. Metatrader4 platform with leverage of 1:1000 ensures sure seriousness and much motivation to do the job successfully. HotForex has a designed affiliate program adjusted for all sorts of partnerships, among which are fund managers, brokers’ introduction, white labeling, online affiliation, regional representation and all at the best support you can possibly find, as its customer service has won awards for doing their job well. HotForex prime takes a close look at the needs of every individual affiliate and with detailed analysis it develops a plan that suits best for their customers. That way affiliates can count on having exactly the like of support they need. For those brokers who search a program to enable Forex market for their clients, there is white label that enables brokers to use MetaTrader platforms and all necessary branding options. For fund managers platform enables affiliates to run multiple accounts at once with all the support provided. Minimum deposit of 500 USD is required to gain access to the fund manager platform. 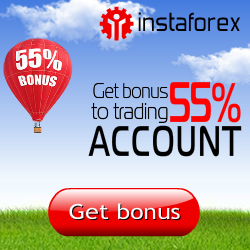 Introducing brokers is made for affiliates who can refer new brokers into using HotForex brokerage, for which HotForex awards every newly referred client and from newly referred clients’ referred clients. You can have them trade with binary options as well. Commissions given are 3-15% of discount for every lot traded, and up to 500 USD for trading with options. In order to start getting money, you have to meet the minimum requirements. For becoming affiliate, after your free application, you will be contacted in 24 hours time after which you can have all the information that HotForex can offer, and that means access to more support, marketing tools and other necessary stuff for you to work well. As it is HotForex’s goal that you can get more clients, they organized to help you with as much as help you need in order to be a successful affiliate. You will therefore be able to use all the promotional material that HotForex marketing team had prepared (banners, landing pages, videos…) in several world languages. After you become affiliate, your earnings will automatically be transferred to your account after which you can transfer it to your own account via PayPal, Wire transfer, Money bookers, Neteller or web money. You can also adjust your transfers to activate automatically into your account once a month. Rewards from Global Banking and from Finance review received in 2013 wouldn’t mean a lot if HotForex didn’t continue to be the leader in affiliate programming. And if you see for yourself, you will then know for sure why HotForex got the name, fame and huge clientele throughout the world.